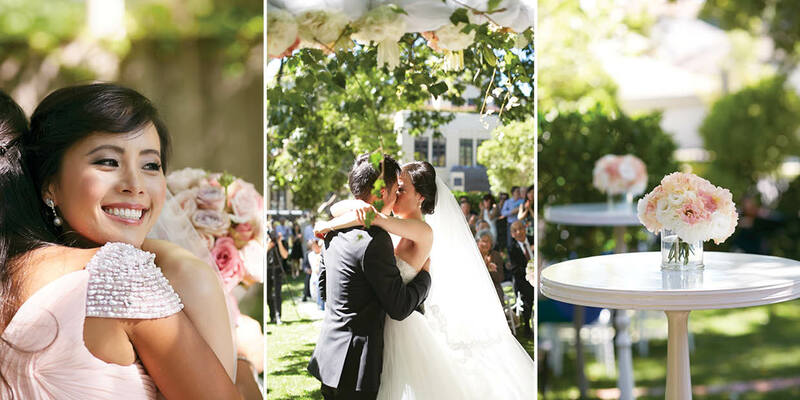 The wedding day began with a traditional Chinese tea ceremony followed by an intimate ceremony under a magnificent red oak tree at the family home in Toorak. “It was so meaningful to take our vows in the home where Thomas grew up, and where we have shared so many memories,” Julie said. The couple chose the avant-garde, waterfront event space of Peninsula for their wedding reception. The spacious and modern interior of the Docklands venue was the blank canvas they were looking for to transform into a dynamic and lavishly decorated reception space. Inspired by Julie’s love of all things pink and beautiful, the theme for the reception was ‘A Pink Fairytale’. 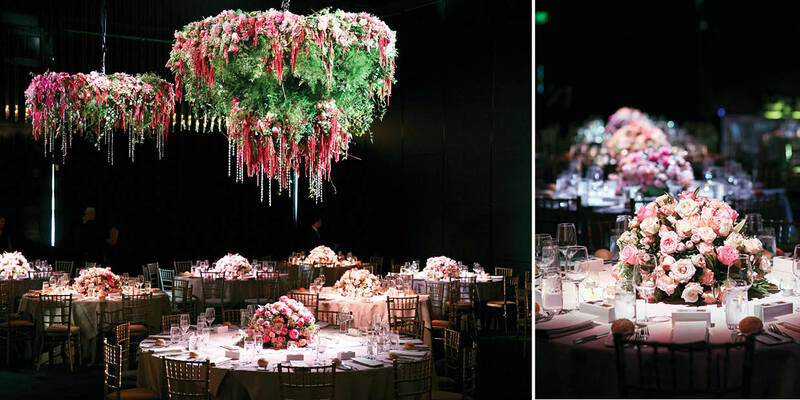 This was created with soft pink light, copious amounts of pink flowers with painted gold leaves, and 3 daring floral and crystal hanging installations. Hard-working suppliers waved their magic wands to make the romantic vision a reality and a dream come true for Julie and Thomas. 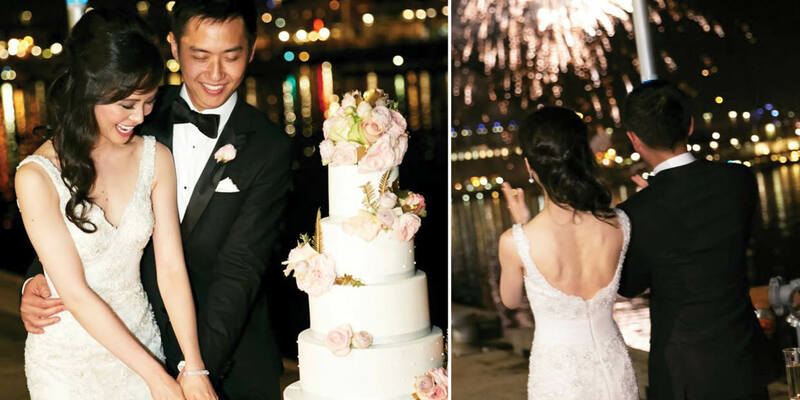 A 6 piece band entertained guests all evening and the night concluded with a Champagne toast on the pier overlooking Victoria Harbour. Julie and Thomas cut their grand, 5-tier cake and snuck a quick kiss before a spectacular display of reworks began.